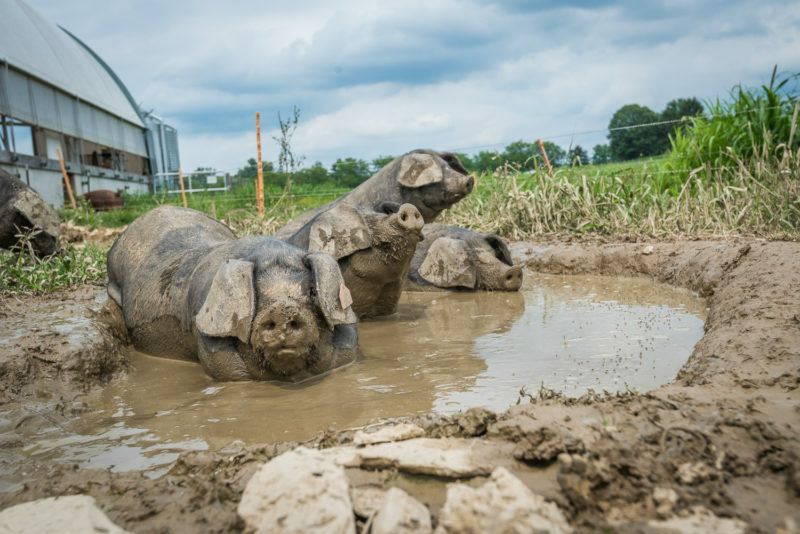 Our state-of-the-art facility was built in 2015 as a scalable model for farmers interested in raising pastured pork healthily and humanely. 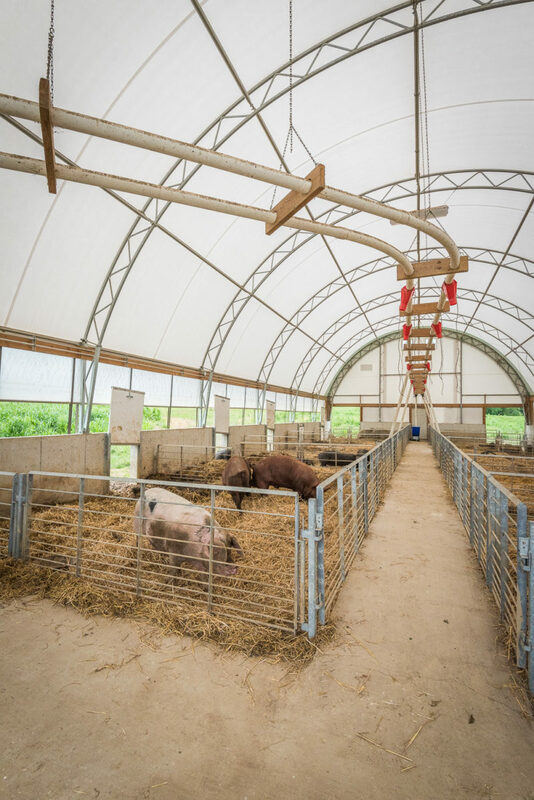 Every inch of the building was designed to minimize labor while improving pasture health and quality of life for the animals. It features a centralized building and eight acres of surrounding hard-fenced pasture. Our facility provides clean, comfortable living conditions and 24/7 access to pasture. Here, hogs are given the freedom to express their natural behaviors. They can forage on pasture any time. When indoors, roomy stalls and a deep straw pack let them play out their natural instincts to root around and create nests. Automatic waterers and feeders reduce labor for the farmer. A central alleyway provides easy access with a trailer or other machinery. Unique swinging gates make it easy to move animals. High ceilings allow for air circulation and eliminate offensive odors. 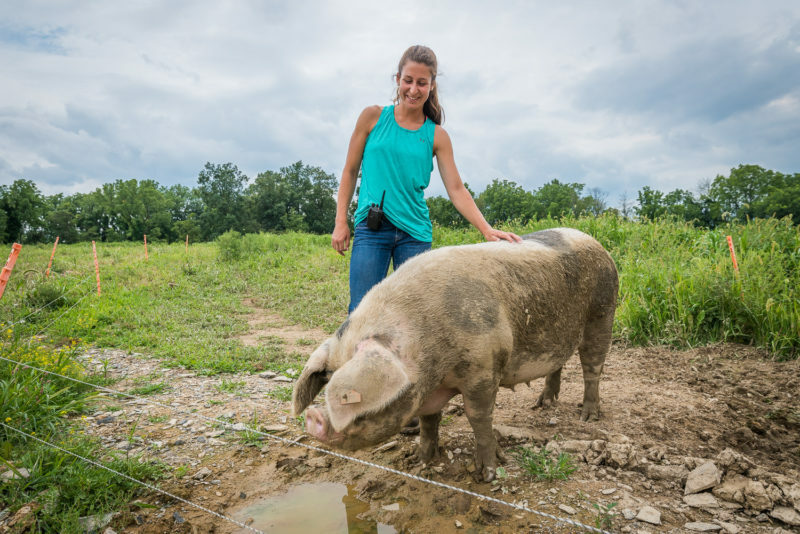 Raising hogs on pasture helps build soil health and minimize weeds, as animals deposit nutrient-rich manure and trample weeds underfoot. We implement rotational grazing to maximize pasture health. We're tracking and analyzing data on our animals and pastures in order to help other farmers find success with pastured pork.